read the news report and aswer 3 types of exercises. you can use it as a test or as a worksheet. 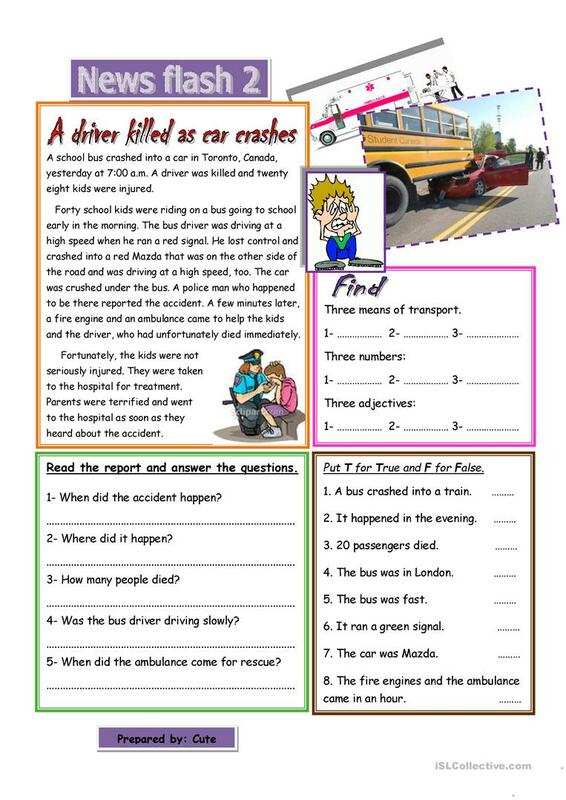 This downloadable handout was created for high school students and elementary school students at Pre-intermediate (A2) and Intermediate (B1) level. It was designed for honing your students' Reading skills.